Range 0.0 to 30.00 inches or 0-761mm). This setting changes the way G83 (peck drilling cycle) behave. Most programmers set the reference (R) plane well above the cut to ensure that the chip clearing motion actually allows the chips to get out of the hole. 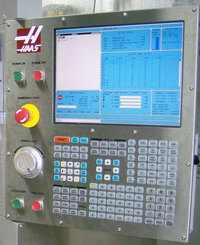 However this wastes time as the machine will “drill” through this empty distance. 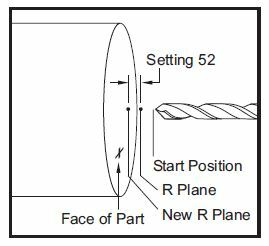 If Setting 52 is set to the distance required to clear chips, the R plane can be put much closer to the part being drilled.